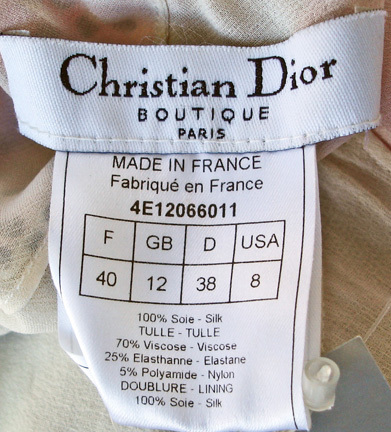 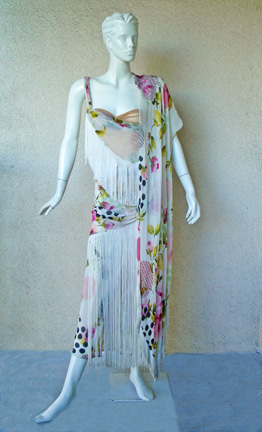 Delicate feminine 20's style flapper dress by John Galliano for the House of Dior from his 2004 runway collection. 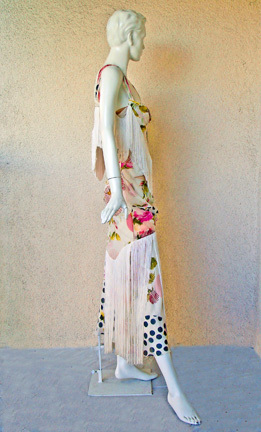 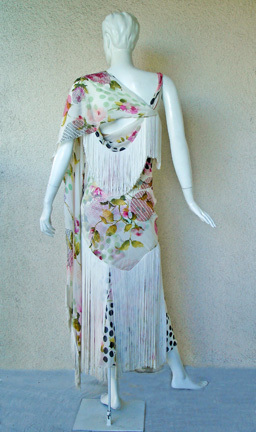 Fashioned of silk chiffon in a floral pattern on white ground bias cut enhanced by long fringe throughout. 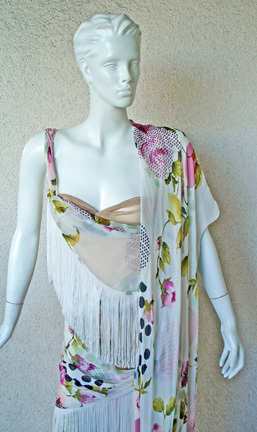 An attached long scarf completes the look and can be worn in a variety of ways.